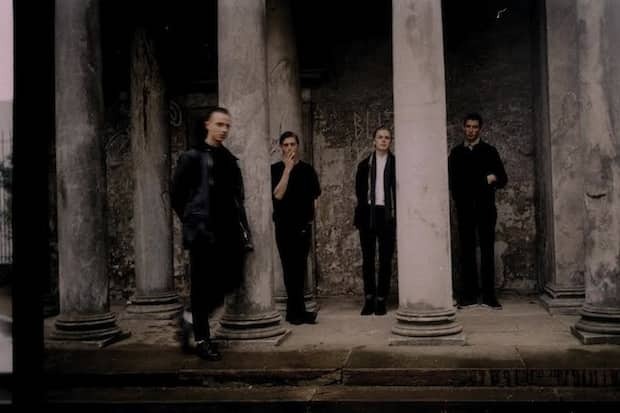 Communions is the Copenhagen-based rock band of brothers Martin and Mads Rehof, Jacob van Deurs Formann and Frederik Lind Köppen. They share a rehearsal space with Iceage and Lower at local DIY space and venue Mayhem, and recorded their debut EP, Cobblestones, between that epicenter of the city's punk/industrial scene and Köppen's bedroom. Aesthetically, the two-and-a-half-minute title track feels pretty much in its own lane, but it's got that elusive combination of scrappiness and horizon-gazing, melodic grandeur that convinced me upon first hearing Iceage that I'd stumbled upon something beautiful and rare. Fittingly, to order a copy of the release, which is out on Posh Isolation sometime in December, you have to put in a little effort, and sign up for their mailing list.